Final Fantasy XV's new director Hajime Tabata strutted up at Tokyo Game Show 2014 this weekend to finally show the world what we've all wanted to see for the past eight years, gameplay and the future of Final Fantasy. Granted, we're fairly confident that its design and theories behind the scenes have greatly changed over the eons, but just like after seeing the excellent trailer that emerged earlier in the show, I have nothing but confidence that this game could be something special. The eight minutes of gameplay streamed onto Japan's NicoNico live-streaming service is generated entirely with in-engine graphics. Tabata stressed that the game just simply looks this good. Our hero Noctis and his friends technically look great, although their design choices are still questionable, but more importantly is the world around them that is most impressive. The sky changes from day to night with gorgeous lighting effects, and my faith in the franchise is nearly completely restored seeing that a classic monster like Behemoth is still making appearances. Despite its polarizing futuristic aesthetic, Tetsuya Nomura and now Hajime Tabata are still letting classic icons of the Final Fantasy franchise shine through with what is clearly the most impressive graphical standards it has ever set. During his presentation, Tabata also spelled out the details for the demo, confirmed to be release alongside Final Fantasy Type-0 HD next March 17th. Titled "Episode Duscae," it will contain one hour of gameplay when strictly sticking to the demo-exclusive story, but those who want to explore the available world and toy with the combat should easily dig up at least 4 hours. That's a lot for a free demo. Between this and Bravely Default, Square Enix is proving it knows how to provide gamers with a lot and still get them to want to buy more. The world available in the demo is massive and will require the slick, black car which appeared in the TGS 2014 trailer to traverse and see it all. Huge monsters like the classic Adamantoise turtles can be pestered with the vehicle, but to those who just want to take in the sights, the game has auto-pilot waypoints which will drive to any location automatically. As much as I want to see it all, hopefully it borrows from the right pages of Skyrim and includes a fast-travel. I don't think I want to listen to Noctis and his friends' philosophies over and over and over again as I explore their world. I could barely handle it even once! 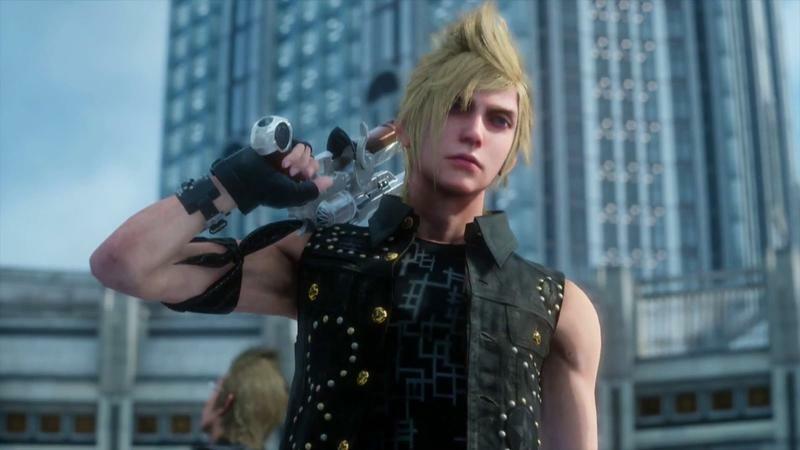 Tabata teased that the demo would not have boss fights but rather something far "more amazing than a boss" that "will have a strong impact on" Final Fantasy fans. You don't need to sell me any further, Tabata, but by all means if you insist. I'm already dead set on picking up Final Fantasy Type-0 HD next year. All in all, Square Enix is pulling off all the right moves for getting Final Fantasy back on track after a decade of ho-hum, and it has a new generation of great young developers like Tabata and Final Fantasy XIV: A Realm Reborn Director/Savior Naoki Yoshida who understand both the series and the modern day video game world to lead the charge.